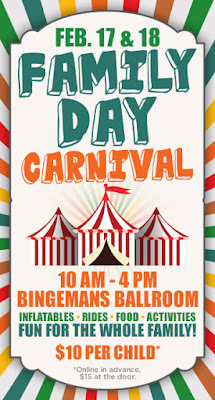 Spending the Family Day Weekend at Bingemans Indoor Carnival is a great way to enjoy family time. With Inflatable amusements, rides, food and fun activities, it is the perfect combination of enjoyment and entertainment for the whole family. 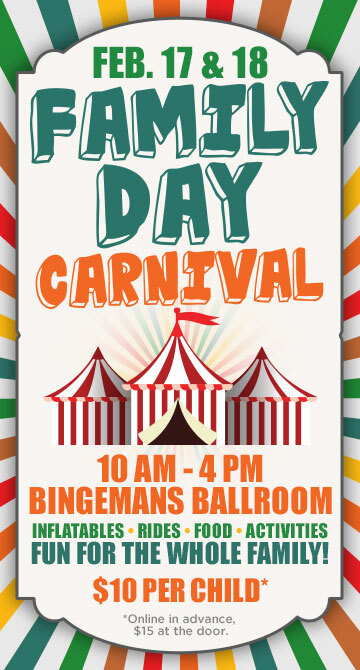 Bring the family to Bingemans for the Family Day Carnival! Enjoy inflatables, rides, food and activities! The fun takes place in the Ballroom on Sunday Feb. 17th and Monday Feb. 18th. Children ages 2 - 11 are $10 each, adults and children under 2 (with accompanying children ages 2-11) are free. The fun goes from 10am to 4pm (All prices subject to applicable taxes & fees). Save by pre-purchasing your tickets. Children ages 2 - 11 are $10 each (online tickets), adults and children under 2 (with accompanying children ages 2-11) are free. Order yours today by clicking the link below. We think this is will be a great day of family fun! In fact, we are so excited we are having a giveaway for a pair of child tickets to attend (remember adults are free). Remember what it was like going to a carnival? The music in the video below may spark some memories and those memories might just win your family’s way into Bingeman’s Family Day Carnival! Enter the rafflecopter contest below (it may take a minute to load) and tell us what your favourite carnival memory. It may just win you a pair of child tickets to attend! (NOTE when commenting below it is best to be logged into your google account. After you click publish, it may take up to one minute for your comment to show. Please wait for it to publish before clicking anything else). 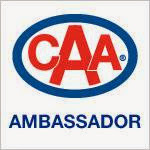 THIS CONTEST IS FOR THOSE IN THE KITCHENER WATERLOO AREA ONLY. I don't recall going to carnivals as a child, but my husband and I always checkout the fairs in the fall. My favourite part is the midway. winning a giant stuffed animal!